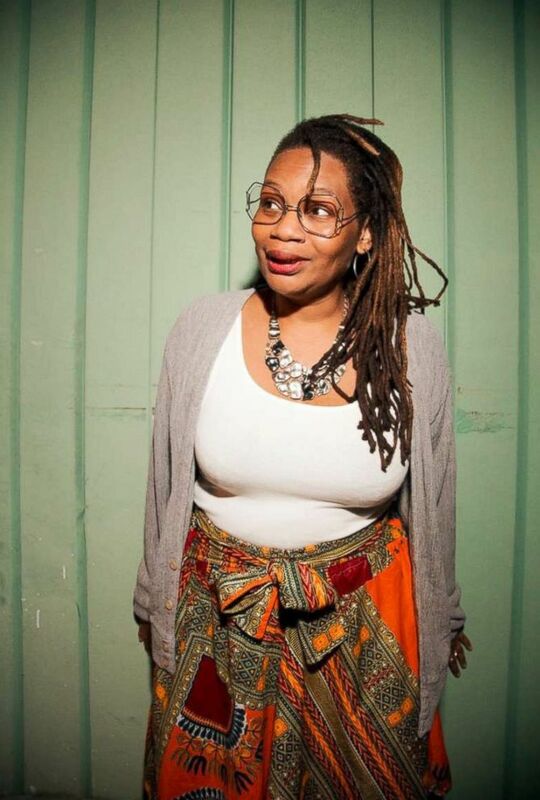 Comedian Shalewa Sharpe's review of "Black Panther" has gone viral. One fan's review of "Black Panther" has gone viral after star Chadwick Boseman tweeted that it was "hilarious!" 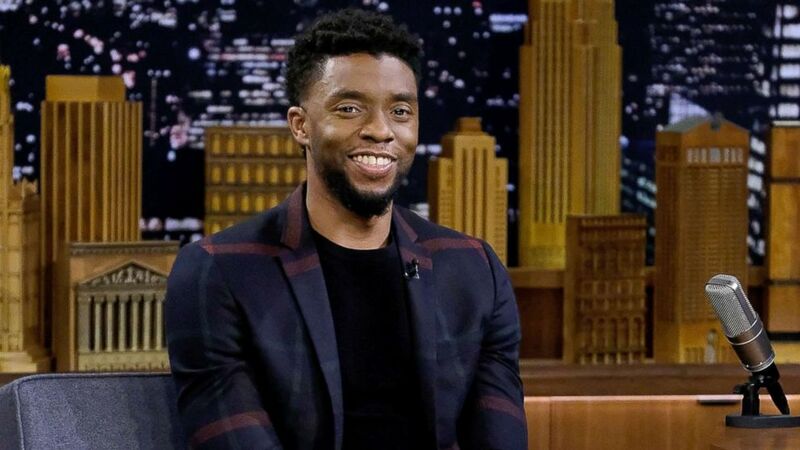 Boseman, who plays the titular character in Marvel's hit film, was so impressed with Shalewa Sharpe's review, which aired as a segment on "The Tonight Show," that he wrote, "Somebody get this woman an agent pronto!" Sharpe's review, which has been cracking up the internet, has now been viewed nearly 560,000 times. The 45-year-old office manager and stand-up comic based in Brooklyn, told ABC News that initially she thought she'd just be reviewing the film on the show and that it would later be shown to Boseman. She had no idea he'd pop out behind a red curtain and surprise her. But Sharpe, who's been doing stand-up comedy for nearly nine years, wasn't shook. (Jamie McCarthy/Getty Images) Chadwick Boseman visits "The Tonight Show Starring Jimmy Fallon" at Rockefeller Center, Feb. 28, 2018 in New York City. She recalled thinking, "Oh my goodness, alright look at this! It's Chadwick Boseman! How 'bout that?' He came out and I'm like, 'Oh, sure. Why wouldn't he be here?'" "At the time it seemed logical and then the next day, I was like, 'Hey, did I just meet Black Panther,'" Sharpe added. "I had a delayed reaction." After she met Boseman, Sharpe said it "was completely unexpected" that he'd tweet about their interaction. "I was just at my desk and checking Twitter occasionally and said, 'Oh wow, this clip seems to be very popular' ... A friend of mine tagged me [and said], 'Hey! He's talking about you!' I was like, 'Ohhhhh wait!'" Sharpe told ABC News she wanted to be a comedian since she was 15 years old. "But I didn't start until my late 30s. I didn't have anything to say. But on a whim, I said, 'OK. Let's give it a shot.'" 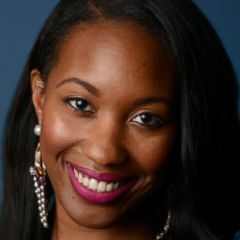 (Mindy Tucker) Comedian Shalewa Sharpe's review of "Black Panther" is going viral after Chadwick Boseman shared it on Twitter. It paid off with Sharpe doing her first stand-up routine at Atlanta's Star Community Bar about a decade ago. In 2016, she recorded her first live comedy album, "Stay Eating Cookies." Now that Boseman has brought more attention to Sharpe, the comedian said she has no expectations of what will happen next. "I don't know what will happen," Sharpe admitted. "The internet is such a funny thing. It's almost like I've stepped outside of my body and I'm watching it happen, but ... this is extremely intriguing." "I'm just going to enjoy this and keep working on the jokes," she added. "Mostly I just want to make people laugh and remember to check all of my email accounts."